To become a customer please Click Here. Pool Corporation operates as a wholesale distributor of swimming pool supplies, equipment, and related leisure products in North America and Europe. Pool Corporation offer approximately 100,000 national brand and Pool Corporation branded products. 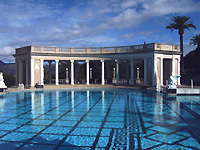 Pool Corporation sells maintenance products, such as chemicals, supplies, and pool accessories; repair and replacement parts for cleaners, filters, heaters, pumps, and lights; packaged pool kits, including walls, liners, braces, and coping for in-ground and above-ground pools; pool equipment and components for new pool construction and the remodeling of existing pools; and irrigation and landscape products, such as professional lawn care equipment. Pool Corporation also offers complementary products, including building materials used for pool installations and remodeling, such as concrete, plumbing and electrical components, and pool surface and decking materials; and other discretionary recreational and related outdoor lifestyle products. Pool Corporation serves swimming pool remodelers and builders, retail swimming pool stores, swimming pool repair and service businesses, landscape construction and maintenance contractors, and golf courses.